Ann Gates Fiser, age 65, passed away peacefully from cancer on December 17, 2017, at Swedish Hospital in Seattle. She is survived by her husband of 44 years, Robert W. Fiser, and son Joshua E. Fiser. Ann had been a resident of Kirkland, WA for 29 years. She attended the University of Texas as an art major and graduated from the University of North Texas in Music Composition. She was a member of National League of American Pen Women. 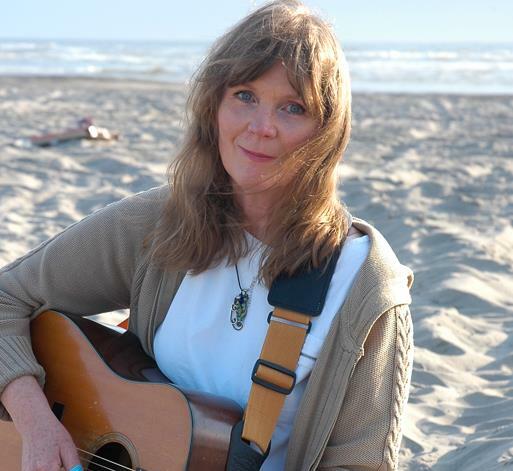 She performed professionally for years and recently performed in the Seattle area in various coffee house venues. She was on the board of Songwriters in Seattle and hosted both open mic and showcase performances until her passing. She was an accomplished mural artist with her works being featured at the Seattle Children's Museum, Seattle Street of Dreams, Seattle Symphony House, King County Library, and a multitude of commercial and residential locations. Her whimsical artistic style appeared in numerous children's books as well as in her original fine art pieces. She painted theatrical sets for Second Story Repertory Theatre in Redmond, WA, for both children’s plays and main stage performances. A celebration of her life will take place on February 10th, 2018, at the Peter Kirk Community Center in Kirkland, WA, from 3:30-5:00 PM.